Combined these three components form the Systems Operation and Support Division (SOS Division). The Engineering and Technology Development Division (ETD Division) provides the engineering and technical backbone to develop and operate the facilities of the SOS Division and is also responsible for the application, development and testing of new technologies for future observing systems and for developing new analytical tools for the effective management of new, high volumes, of observational data and modelling output. 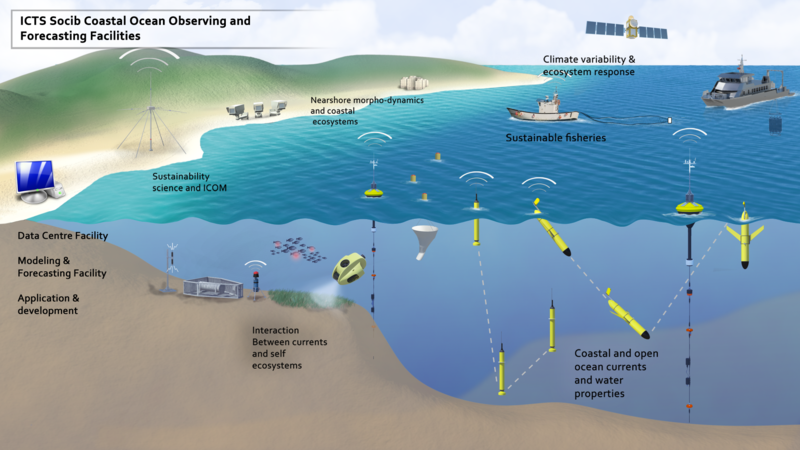 The third Division, the Strategic Issues and Applications for Society (SIAS Division), develops applications and operational tools for science-based management of the coastal and marine environment.